How to Find the Milky Way This interesting artical was written by Ian Norman of Lonely Speck, and is used under the Creative Commons Attribution-Non-Commercial-Share-Alike 4.0 International License. If you want to photograph the Milky Way, the first thing you’ll need to know is how to find it. In this article, I share some of my favorite tools and tips for finding the Milky Way’s galactic plane and more specifically, the bright galactic center. Using either smartphone apps or by memorizing important constellations, you’ll be able to find the Milky Way with or without the use of technology. I remember my first failed attempts at trying to shoot the Milky Way, and I recall one of the most basic and obvious challenges: I didn’t even know where to point my camera. One of the most important factors that contributes to the visibility of the Milky Way is the time of observation. It moves across the sky throughout the course of the night and the position of the Milky Way will differ depending on the time of year. Seasons of the Night Sky Still today, I receive the occasional email from a reader asking for help with finding the Milky Way or from photographers who have set out on their first excursion in the dark only to find that the bright galactic center, the part of the sky we all expect to see when trying to shoot the Milky Way, was not visible at that particular time of year. As it turns out, the night sky has seasons. The best times to observe the bright galactic center of the Milky Way, in any part of the world, tends to be from about mid-March through mid-October, the “Milky Way Season,” as I and many of my fellow astrophotographers have started calling it. Technically, you can see some part of the Milky Way at any time of the year, but when shooting in the time period from September through April, you’ll be limited to the dimmer parts of the night sky as the Sun obscures the bright galactic center. Similarly, where you’re located in the world will determine where the Milky Way will be in the sky. In the northern hemisphere, the galactic center is visible in the southern half of the sky while in the southern hemisphere, it can be positioned directly overhead, particularly in the peak of the “Milky Way Season” around the time of the June Solstice. Most of my photographs are made in the Northern Hemisphere so the Galactic center never rises too far above the horizon. When you embrace astrophotography as your hobby and you really want to produce the best results possible, the thing on your mind most often is not what lens to use or what camera to buy, it’s the awareness of where we are in the astronomical sense: the position of the Earth and the Moon and the Sun as we slowly dance in the heavens. With some practice and observation, it’s possible to track the motions of the heavens and use it to help plan your astrophotography excursions. I’d like to share with you some of my favorite tools and tips for finding the Milky Way’s galactic plane and more specifically, the bright galactic center. Below are my absolute favorite smartphone apps and computer software for finding the Milky Way, as well as techniques for locating it without technology. The Best Smartphone Apps for finding the Milky Way: PhotoPills for iOS SkyGuide for iOS Stellarium Mobile for Android These apps are my absolute favorite tools for finding the Milky Way. I’ve searched high and low and these are the best in my honest opinion. There are many free apps available that try to do the same thing but I’ve not yet found a free one that really excels like these do. PhotoPills for iOS PhotoPills for iOS is a standout application for all types of photography planning. Most notable for night photography is its augmented reality mode and 2D Milky Way planner, both of which are unique to PhotoPills. The 2D Milky Way Planner in particular will allow you to simulate the arch of the galactic plane as an overlay on top of a map. I like this feature in particular because it makes it easy to plan your shooting position in order to align your landscape with the Milky Way. No other app has this tool and for that reason I think PhotoPills is arguably the best overall Milky Way planning app. The PhotoPills team has also put together an extensive guide for planning and photographing the Milky Way that complements a lot of the content available here on Lonely Speck. SkyGuide for iOS I have a particular preference for SkyGuide because it has the most photorealistic representation of the night sky. It was made by an amazing guy: Nick Risinger, creator of skysurvey.org. Nick traveled to two different corners of the globe to capture more than 30,000 exposures to create the most complete and detailed mosaic of our night sky. That mosaic is fully represented in Nick’s SkyGuide iOS app and that makes it one of my favorite apps. It allows you to orient your phone to see where the galactic plane will be. Stellarium Mobile Unfortunately, neither PhotoPills nor SkyGuide are available for Android. That said, Stellarium Mobile, which is a commercial port of my favorite planetarium software for the computer (stellarium.org), is the absolute best app available on the Android Platform. It too uses the skysurvey.org mosaic for representing the Milky Way but it’s lower resolution than the graphics available in SkyGuide. One trick if you’re using Stellarium Mobile: open the “Advanced” settings and turn the Milky Way brightness up to about 7. Just like the PhotoPills Augmented Reality mode and SkyGuide, Stellarium Mobile can use your phone’s compass and accelerometers to allow you to see where the Milky Way will be as you reorient your phone. Stellarium Mobile is also available for iOS, but again I prefer SkyGuide for iOS devices. The Best Desktop App for finding the Milky Way: Stellarium.org Last but certainly not least in my list of tools for finding the Milky Way is Stellarium.org. It’s an open source desktop computer app available for free on Mac, Linux and Windows. It’s the core application that Stellarium Mobile is based on and it’s my personal favorite app for planning on the computer. 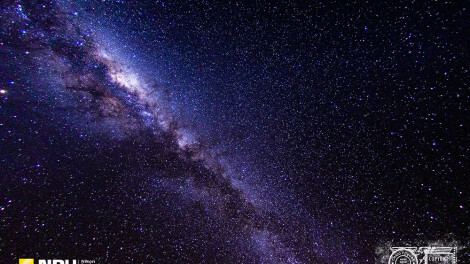 Finding the Milky Way without Tools It’s kind of a weird thing to write about how to find the Milky Way because we’re technically in the Milky Way galaxy. Every star that you can see in the night sky is technically part of the Milky Way so when I say “How to find the Milky Way,” what I actually mean is “How to find the Milky Way Galactic Plane” or even more specifically, how to find the Milky Way Galactic Center. To start, let’s take a look at one of my most recent photographs of the Milky Way: That really bright part of the Milky Way? That’s the galactic center, the bright glowing core of our galaxy about which our entire solar system revolves. Our sun moves around the core of our galaxy at an estimated one revolution per every 240 million years. In this image, the galactic plane extends vertically out of the frame. On any dark night, in pretty much any part of the world, it’s almost always possible to see a portion of the galactic plane at some moment of the night. The galactic plane can be found arching across some portion of the sky. Usually the plane of the galaxy is where most of the stars will be visible in the night sky. That’s the part of the sky that we’ll want to photograph. Now if you’re in a dark enough place, the Milky Way should already be visible to the naked eye (though not as obvious as it appears in a long-exposure photo). That said, there are some particularly important constellations to remember so you know what to expect depending on where you point your camera. There are many constellations that can be found along the galactic plane, but these six will help you find the best photographic results. If you learn to recognize these constellations, you’ll have no trouble finding the plane of the Milky Way, even in light polluted conditions when the position of the Milky Way may not be obvious. At least one of these constellations should be visible on any given night, and they tend to be the easiest to learn how to find. Major Constellations along the Milky Way Galactic Plane: Scorpius Sagittarius The Summer Triangle Cassiopeia Crux or the Southern Cross Orion Scorpius Scorpius is probably my favorite constellation in the night sky. It’s specifically characterized by the bright star Antares, also know as “The Heart of the Scorpion” and is accompanied by an arc of stars that form the body of the scorpion-shaped constellation. Antares is notable as one of the brightest stars in the sky and it has a distinctly orange-yellow color which makes it stand out from many of the other stars. The colorful stars and dark dust clouds surrounding Antares are collectively known as the Rho Ophiuchi Cloud Complex. Sagittarius Sagittarius is situated almost exactly at the brightest part of the Milky Way. Since that part of the sky is particularly dense with stars, Sagittarius is usually a bit harder to find, but it’s notable because it directly points out where the brightest part of the night sky will be. Sagittarius is supposed to be shaped like a centaur drawing a bow, but the brightest stars in the constellation form a more recognizable “teapot” shape. The spout of the teapot is located right on the bright bulge of the galactic center. The Summer Triangle The Summer Triangle is particularly helpful for finding the galactic plane in the Northern Hemisphere. This portion of the galactic plane is home to three of the brightest stars in the sky: Deneb (the tail of Cygnus, the swan), Altair, and Vega. These three bright stars are some of the brightest stars visible in the Northern Hemisphere’s summer and are usually visible high in the sky in May, June and July. Deneb in particular is nice to capture in a photograph because it’s located right next to a colorful pink nebula called the North American nebula. Cassiopeia In the Northern Hemisphere, Cassiopeia is visible almost the entire year. It’s easy to find because it’s shaped like a giant “W” in the night sky. It’s one of the most northerly constellations and it’s notable because it’s adjacent to Polaris, the north star. I also use it as a guide to locate the galaxy Andromeda, the nearest full size galaxy to the Milky Way. Andromeda is visible to the right of Cassiopeia in the photo below. Crux or the Southern Cross In the Southern Hemisphere, Crux is the constellation that is visible as an almost perfect cross with some of the brightest stars in the sky. It sits right on the galactic plane. Orion Orion is the part of the Milky Way that’s easiest to see in the “quiet season” of the night sky from September through April. Orion is positioned near the galactic plane almost directly opposite the galactic center. It’s immediately recognizable in the sky by the three bright stars that make up Orion’s belt. I like shooting photos of Orion because of its large amount of colorful nebula and bright stars. I think Orion is one of my favorite parts of the night sky and I’ve made a tutorial specifically about shooting Orion. These constellations are your tools for finding the Milky Way. Try using your smartphone app to help look for these constellations to learn how to recognize them. After several sessions of night sky gazing, you’ll become more adept at recognizing these important parts of our home galaxy. Now all you’ll need are some clear dark skies and some simple photo equipment like a camera, a fast lens and tripod to learn how to photograph the Milky Way. If you have any questions or comments feel free to participate in on the comments below; check out my Facebook page and like to receive regular image and news updates. Composition Tools Here are a few important composition tools that one can use in post edit or straight out the camera. Photoshop has some of the following tools present in the crop tool that I would like to discuss and share with you: Rule of Thirds Diagonal Method Golden Ratio Golden Triangle Golden Spiral The Rule of Odds Leaving Space Simplicity Yes, all the experienced photographers do or should know the "golden" rules of composition and use them almost innately. But before you start to use these simple rules without thinking, you need to practice, think what is better, and read about these rules or guidelines. Compositional Rules You hear photographers talk about composition all the time, but what exactly is composition and how is it different from subject? Simply put, composition is the way that elements are arranged in an image. Composition includes all the elements in a photo, not just the primary subject. The human eye tends to prefer images that have a certain sense of order, while it tends to reject images that are chaotic. That’s the basic difference between good composition and poor composition, though it’s obviously a lot more complicated than that when you move past the basics. In order to develop a good understanding of what works and what doesn’t work in photographic composition, it helps to learn the “rules” and practice following them. And there are a lot of rules. You’ve probably heard of at least some of them, but they are worth repeating. Remembering, of course, that these are really more guidelines than actual rules. There are no fixed rules in photography, but there are guidelines which can help you to increase the impact of your photos. To make your images more appealing, apply the picture composition tools and rules while taking the photos. Poor photo composition can make a fantastic photo dull, but a well composed frame can create a wonderful image from the most ordinary of situations. As a beginner photographer at camera club, we were taught to look for the following shapes in our compositions: S, O, L, T, A, X, as well as to incorporate the well-known Rule of Thirds or Fifths. I am willing to say that above 90% of photographers would have begun using the Rule of Thirds, and still do. I don’t believe that many compose outside of that box with the other above mentioned composition tools. The Rule of Thirds Rule of Thirds The king of compositional rules! Any photographer who does more than just take snapshots knows something about the rule of thirds. The basic theory goes like this: the human eye tends to be more interested in images that are divided into thirds, with the subject falling at or along one of those divisions. Many DSLRs will actually give you a visual grid in your viewfinder that you can use to practice this rule. If yours doesn’t, just use your eye to roughly divide your image with four lines into nine equal-sized parts, then place your subject at the intersection of those lines. For example, when photographing a person it is generally better to position them at the right or left third of the frame rather than directly in the middle. It makes for a more interesting image. Diagonal Composition Diagonal Method The diagonal method (DM) is a rule of thumb in photography, painting and drawing. Dutch photographer and lecturer Edwin Westhoff discovered the method when, after having long taught the rule of thirds in photography courses, he conducted visual experiments to investigate why this rule of thirds only loosely prescribes that points of interest should be placed more or less near the intersection of lines, rather than being rigid and demanding placement to be precisely on these intersections. Having studied many photographs, paintings and etchings, he discovered that details of interest were often placed precisely on the diagonals of a square, instead of any "strong points" that the rule of thirds or the photographic adaptation of the golden ratio suggests. A photograph is usually a rectangular shape with a ratio of 4:3 or 3:2, in which case one should look at the bisection of each corner. Manually placing certain elements of interest on these lines results in a more pleasing photograph. Diagonal Method The Golden Ratio Golden Ratio Rule While the rule of thirds divides your scene into equal thirds, the golden ratio divides your scene a little bit differently, into sections that are roughly 1:1.618. Unless you are a mathematical genius, you’ll probably need to see this visually. Think of a nautilus shell split open, overlayed on this box image, with the spiral starting in the smallest box. Golden Ratio Diagram With the idea being that a perfectly composed image should follow the lines in this rectangle. As you can see, instead of being evenly spaced as they are in the rule of thirds, golden ratio lines are concentrated in the centre of the frame, with roughly 3/8ths of the frame in the above part, 2/8ths in the middle and 3/8ths at the bottom. This idea has been around for centuries – millennium, really, and can be found in many of the great classic works of art, the Mona Lisa is but one example. 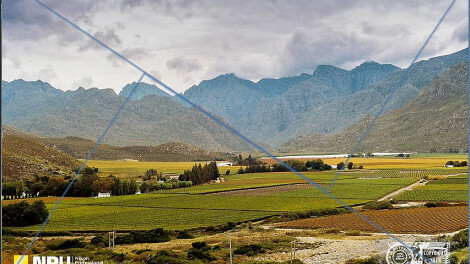 Some argue that the rule of thirds is simply a simplification of an even more advanced mathematical equation known as the golden ratio (also known as the golden mean). The golden ratio is a ratio which has continued to surprise artists, scientists, musicians and mathematicians for centuries. The reason being is that the golden ratio seems to pop up everywhere. Not only does the golden ratio pop up in everywhere, it also seems that the human eye is very attracted to the results of the ratio. For example, there are certain measurements on models faces which equal surprisingly close to the golden ratio. In nature we see the golden ratio in plants and the branching of trees, the spirals of shells, the curves of waves, in our DNA and the solar system, the Milky Way is an example. It has also been used in architecture, art and music. The golden ratio seems to be everywhere. It was used in architectural masterpieces such as the Greek Parthenon, the pyramids and later in such great works of art such as Notre Dame. There is also cause to believe that it was used by the great artists Michelangelo and Leonardo De Vinci. Golden Triangles and Spirals Until now we’ve discussed the perfect rectangle, which at 5:8 roughly corresponds to the size of a 35mm image. But if your image has diagonals, try composing it using “golden triangles.” To do this, divide your image diagonally from corner to corner, then draw a line from one of the other corners until it meets the first line at a 90 degree angle. Now place your photograph’s elements so that they fall within the resulting triangles. The golden triangle is another good composition tool or guideline to use when your photograph contains strong diagonal elements. It involves splitting the photo into three triangles that contain the same angles. The golden triangle is simple and works the best with lines but almost every photo will benefit from applying it. All you have to do it to imagine lines going through your photo. The framing does not have to be precise; an approximate framing will do well. One right-angled triangle runs diagonally from corner to corner, while the other two triangles are created by drawing a line that goes from one of the other corners to meet the diagonal line at a right angle as in the image below. 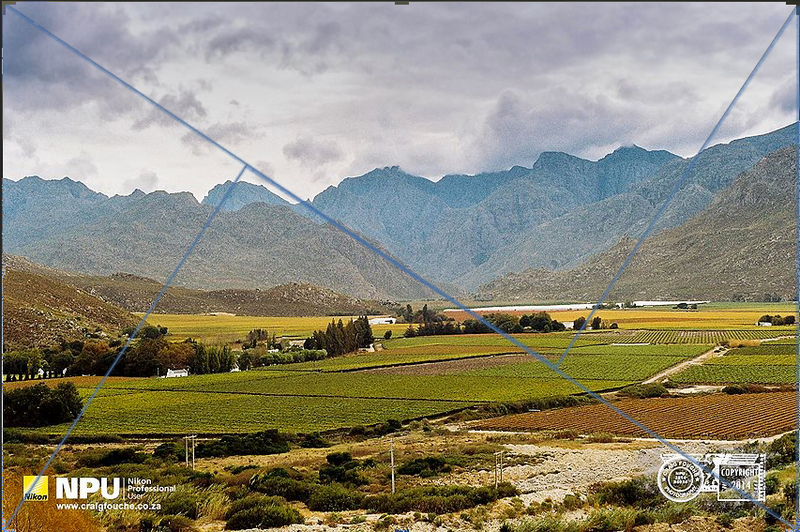 Try and place the diagonal elements in the frame so that they follow this pattern for a pleasing composition. You can see how the triangles follow the mountain profiles. Golden Triangle Rule The golden spiral, as you might guess, is a compositional tool for use with objects that have curving lines rather than straight ones. This spiral is drawn based on that complicated series of rectangles we saw above, but you can actually visualize this based on nature’s nautilus shell, which matches the golden spiral shape almost exactly. If that seems a little too convoluted to you, just look for compositions where there is a spiral that leads the eye to a particular point in the image. In the case of the leopard, it follows the shape of the ear, the roundness of his head and finally the leading line of the left front leg going backwards towards the top left corner of the image. Golden Spiral Rule Rule of Odds The rule of odds is somewhat related to the rule of thirds. The eye tends to be more comfortable with images that contain an odd number of elements rather than an even number. My photograph of three pelicans, for example, is more appealing than an image after that third bird flies away. The reason for this is that the human eye will naturally wander towards the center of a group. If there’s empty space there, then that’s where the eye will fall. As a photographer, you want your viewer to look at a subject, not at an empty space. Rule of Odds Leaving Space This rule incorporates two very similar ideas: breathing room and implied movement. The leaving space rule should come naturally to you, but if you need a way to visualize it think of your image as a box and your subject as something you’re going to be inserting inside that box. The subject will space to feel comfortable, not confined. Implied motion means that if your subject is in motion you need to give some space that it can move into or out of. Implied Motion Fill the Frame The rule of space may seem to contradict this next rule, which is the idea that you should fill the frame with your subject. Filling the frame, of course, is different than crowding the frame. Crowding the frame means that you’re breaking that rule of space and putting your subject in a constricting box. The “fill the frame” rule, on the other hand, simply means that you’re looking for distracting background elements and cropping them out whenever you can. Or put another way, decide how important your subject is and then give a ratio of the frame that is directly related to its importance. Filling the Frame Simplification As a general rule, simple images tend to be more appealing than complicated ones. Most times, less is so much more. You can do this by zooming in on your subject, using a wider aperture for a shallow depth of field, or simply cropping the image later in post processing. Simplicity In Conclusion By applying these composition tools, your photography can only improve. One should also look for elements of colour, texture, mood, repeating patterns, balance, leading lines, symmetry, depth and a different viewpoint. Many people shoot from eye level, don’t be afraid to shoot at ground level, you would be amazed at the results! Don’t forget to change the orientation of your camera, too many people shoot landscape orientated images and not enough portrait oriented images – go ahead, break the rules. Also, at the beginning of this article, I mentioned S, O, L, T, A, X, look for these shapes in your composition, and see how these tools can improve your images! My Early Days Of Film Photography My early days of film photography started in 1998, well actually earlier in 1978! I got hold of my parents Kodak Instamatic 33 camera and shot 24 frames of our pigeons we kept. When caught out, I claimed that I only shot 2 frames and got a hiding for that! Later, around 1982, our family friend Rob, gave me a Kodak Junior to try out. Kodak Instamatic 33 After getting married in 1998 and going on honeymoon to the Kruger National Park; spending how many hours in the heat waiting for the preverbial hippo yawn to take place at Kanniedood Dam in the North of the park, snapping the shot with a point and shoot camera, feeling elated about it, did I think that I had made it big! The joke was, after returning home, and developing the film, finding out to my absolute HORROR, that the hippo was merely the size of a match stick head in a postcard size print! It looked NOTHING like the coffee table books I had seen!! It was there and then that I decided to purchase my first real film camera! This was to be a Pentax MZ-50 with a 80-320mm lens for wildlife. I then bought a Tamron 28-200 for all other purposes. I shot a lot of wildlife, sport and weddings on film at that time. The film photography bug had bitten! 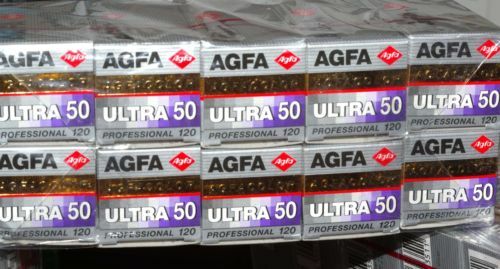 My Favourite Film My favourite film for film photography was Agfa Professional Film. I especially enjoyed the slow Agfa Ultra 50 for extremely punchy colours and ultra fine grain. This was a fine arts film with an exaggerated color palette; skin tones will appear orange, so this was not for photographing people (unless you like orange faces! ), but perfect for landscapes and other subjects. 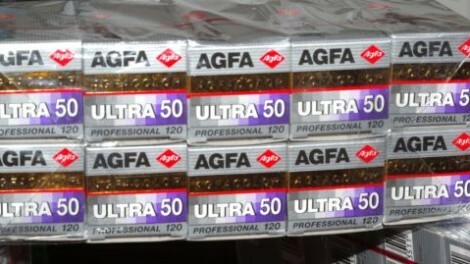 My other choice was Agfa Optima II Prestige ISO 100, 200 and 400, of which I still have an unopened roll of Agfa Optima II Prestige ISO 400 in the fridge. By keeping film in the fridge, it helps prevent it from ageing as it is under a constant temperature. Agfa Ultra 50 Agfa Optima II Prestige ISO 200 The Pentax later grew up and became a Nikon F90X, which I still have and use today. This was my first introduction to Nikon gear. I am glad I had my foundations of photography based on film photography. In the day, film was expensive and every frame had to count, more so professional film. There was no image preview, no delete and try again, everything was manual. Exposures had to be perfect, if you weren't sure you could work off of sunny f/16 or ISO 100 for sunny days, ISO 200 for cloudy days, ISO 400 for rainy days and sport, and ISO 800 for night shots. Another trick was to check the persons pupils for the amount of dilation and then determine your f-stop accordingly. I then went on to join ELPS and grew photographically. We were required to complete set subjects for the month until our next meeting. Above that we had to shoot in different film mediums; that being monochrome, slide or transparency and film. That being said, we had to shoot in different genrés to stretch and extend ourselves; this forced one to grow photographically. Once our goals and objectives were achieved, we were then promoted to the next level. Ultimately, one could achieve a licentiate through PSSA. 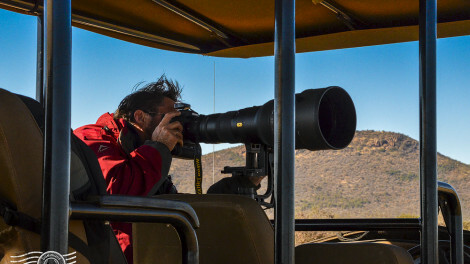 Later came photographic competitions, my inspiration was the Agfa Wildlife Competition, the entrants of the day were Richard du Toit, Nigel Dennis to name a few. I never made the grade for the Agfa Wildlife, but did excel locally though. Finally came publications in local magazines SA 4x4 Magazine. Some Of My Achievements: The GPS Challenge Click on the images and articles for full view. 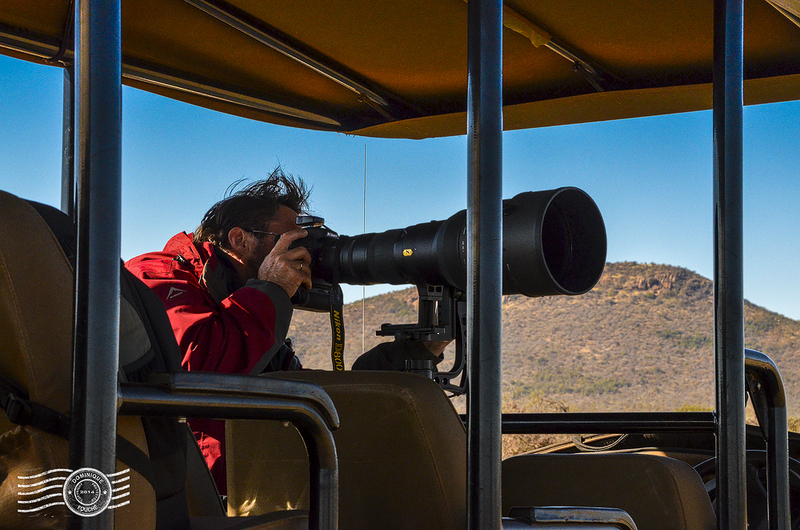 KJ Bolton Consultants, now NavWorld ran a GPS competition, of which I was a part of, met two great journalist on that trip, and had my images published in three editions of SA 4x4 Magazine. December 2004 - Full page spread 62; single pages 63, 64. December 2005 - Single page 42 and 47 February 2006 - Double page spread - pg 46, 47; single pages 48 and 51. December 2004 SA 4x4 Dec 2004 SA 4x4 Dec 2004 SA 4x4 Dec 2004 December 2005 SA 4x4 Dec 2005 SA 4x4 Dec 2005 February 2006 SA 4x4 Feb 2006 SA 4x4 Feb 2006 SA 4x4 Feb 2006 Tourism Buffalo City Photographic Competition I entered a competition run by Buffalo City Tourism in 2002 in East-London and came out tops with an aerial shot of the East-London breakwall, unfortunately the second shot wasnt sharp, as this was taken from a rather windy and bumpy helicopter ride on the day. I would have preferred this to have been the winning shot. Thankfully film photography is not dead, and I can still shoot film. If you havent tried film, I suggest give it a try, you will grow in leaps and bounds, as it will slow you down to think about your composition, your settings etc. Another thing, it may even offer you a better marketing strategy to say that you shoot film, not many people do these days. Newspaper Article Daily Dispatch Feb 26'02 Winning shot on the board. The Winning Shot East-London Breakwall on Agfa Ultra 50 ©2001 My Preferred Winning Shot East-London Breakwall on Agfa Ultra 50 ©2001 I hope you will be inspired by this blog to try film photography, furthermore to push yourself past your expectations, who knows, perhaps your images would appear in a recognised magazine too. Nikon Professional Services - NPS Nikon Professional Services NPS You may or may not have heard or read about Nikon’s NPS - Nikon Professional Services support to its professional band of photographers, worldwide. I am so excited to have been informed on 12 May 2015, that I have been NPS accepted. Nikon Professional Services - NPS But what does it mean for you and more importantly, how will it benefit you? I have been a member of Nikon’s NPU service since 2014, and just recently became a member of NPS. 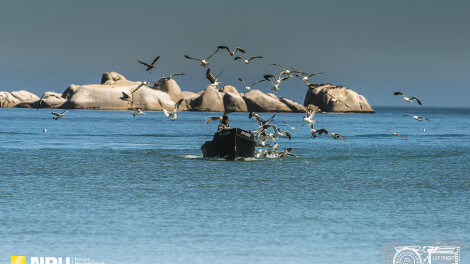 To become a member of this select group in South Africa, you need to have the following minimum requirements: All your photographic equipment would have to be purchased through Nikon in South Africa (Premium Brand Distributors) 2 x Professional Nikon camera bodies (D300, D300s, D600, D610, D700, D800/800e/810/810a, D3, D3x, D3s, Df, D4 and D4s) 3 x FX Nikkor lenses Be a full time professional photographer To submit a portfolio which will be reviewed and considered for NPS status. 6 months is the waiting period to re-apply, unfortunately. As an NPS member one can look forward to the following benefits: 48 Hour repair turnaround time with immediate load equipment (depending on availability) Entitled to product loans / test units per year On site cleaning assistance at selected media events (where applicable) Specialized Nikon workshops and discounted training courses Information on new products and invitations to product specific launch events NPS membership card Subscription to Nikon Pro Magazine (available on the iStore) Telephonic technical support Online technical support through Facebook and Twitter The Philosophy Behind NPS (http://nps.nikonimaging.com/about_nps/philosophy/) NPS: Pushing photographers forward “Year after year, Nikon products continue to gain the patronage of professional photographers across the globe. Such trust is invaluable to us, and it plays a crucial role in who we are, what we make and what we do. As an optical manufacturer and brand leader, it is our mission not only to create reliable, high-quality products, but also to consistently offer useful, faithful and dependable service to those who make their living from the images their cameras produce. This is where Nikon Professional Services (NPS) excels. Our goal is to keep NPS members shooting with certainty, ease, and a feeling of security that comes with dedicated support. This kind of support is important not only for the member and for our brand, but also for Nikon as an imaging products manufacturer, since input from professional photographers frequently inspires our engineers as they create future products. We never take this relationship for granted: as we respond to the demands of photographers, they provide us with vital, real-world information and advice from the field. This relationship, built on mutual trust, is a cornerstone of Nikon, creating a cycle of information and respect that pushes both Nikon and NPS members to new levels of excellence.” Mr Yasuyuki Okamoto, Director, Member of Board & Executive Officer, President of Imaging – Nikon. Nikon NPS has, on its website, (http://nps.nikonimaging.com/about_nps/faq/) answered almost all of the questions associated with NPS. You can find it below too. About NPS Q1: What is NPS? NPS, which is short for Nikon Professional Services, is a Nikon organization designed solely to assist qualified, full-time professional photographers who earn their living using Nikon equipment. The organization is currently operating in approximately 30 countries and regions with primary functions to provide equipment maintenance and repair services and on-site support for professional photographers working at international events. Q2: Who manages each regional NPS organization? NPS organizations are managed by the Nikon Group company operating in each country or region. Original services may be provided at the initiative of the NPS organization of each country or area. Q3: What is the NPS Global Site? The NPS Global Site is a website managed by Nikon Corporation mainly for professional photographers. It offers an outline of NPS activities, countries and areas covered and contact information, etc. Q4: Who manages the NPS Global Site? The NPS Global Site is managed by the Nikon Corporation. Q5: Is there global membership? There is no common global NPS membership system apart from the NPS membership systems operated and managed by individual countries or regions. However, members traveling abroad are provided NPS support and services at the designated service centres. Please refer to the Support and Services page for an outline of the services. Original services may be provided at the initiative of the NPS organization of each country or area. Q6: What are the member benefits of NPS? The benefits include priority support and services at the NPS service centres of the member’s home country and NPS service centres operated by Nikon Group companies at working locations, etc. Please refer to the Support and Services page of this site for an outline of the services. Original services may be provided at the initiative of the NPS organization of each country or area. About Admission Q1: What are the requirements for NPS membership? To become a member of NPS, you should be a full-time professional photographer owning and using a certain amount of Nikon equipment. In addition, there are further membership requirements imposed by regional NPS organizations. Q2: How do I apply for NPS membership? Information about admission is available at regional NPS websites or by contacting regional NPS organizations directly. In this case Nikon South-Africa. Q3: Is there a charge for NPS membership? An admission fee and annual membership fee may be required according to each country or area. Q4: There is no NPS office in my country, can I still apply for NPS membership? There may not be an NPS organization depending on the country or area. Please refer to the NPS Global Network page for inquiries. Q5: Can I apply for NPS membership in more than one country? It is not possible to register NPS membership in more than one country or area. If you relocate to another country and there is an NPS organization that covers the country or area, you must newly apply for admission. Q6: I am a member of a professional service organization of another manufacturer. Can I apply for NPS membership, too? If you are a member of another professional service organization, you can apply for NPS membership if you meet the admission requirements of the regional NPS organization. Q7: Where can I ask other questions about admission? Please refer to the contact information of the regional NPS organization that you would like to apply for admission to on the NPS Global Network page for inquiries. About NPS Services Q1: If I experience equipment problems when I travel abroad, should I contact the nearest NPS or the NPS of my home country? Please contact the nearest service center indicated on the Global Support and Service Network page. If there is no conveniently located service center, please contact an NPS representative in your home country. Q2: Where can I ask other questions about NPS services? Please refer to the Support and Services page for an outline of the services. A Photographers Guide to the Milky Way As I frequently bounce between the Northern and Southern Hemispheres on a regular basis, this article is written with both Hemispheres in mind, also for those that may be travelling to the Northern Hemisphere on holiday; or for those that live and follow my work there. Let’s have a look at a photographer's guide to the Milky Way... It’s January…the nights are long, the sky is crisp and dark, so why can’t you see the Milky Way very well, much less get those amazing shots you see on many Facebook photography pages or photographer's personal websites? This tutorial will help teach you everything you need to know about when and where to view our galactic home. Understanding the Geometry of the Galaxy The Milky Way is a disk-shaped structure, centered around a bar-shaped ‘core’ near the centre. This is the region you typically see featured in the dramatic astrophotography images that have become popular in recent years, on various Facebook photography pages and photographer's personal websites. Because of its disk shape, the Milky Way appears as a faint milky-coloured band, approximately 30° wide, arching across the sky at just about all times (obviously only visible only at night). Our Solar System is located in one of the outer arms of the Milky Way, as shown below in this NASA illustration: NASA's Image of the Milky Way The plane of our solar system is at an approximately 63° to the galactic plane. So what does that mean and why is it useful? It means that objects in our Solar System are rotating at almost a perpendicular angle compared to the angle of rotation of all the objects in the Milky Way as a whole (including our Solar System). Practically, this means that the Milky Way will appear at different angles in our night sky depending on both the time of night and time of year. The geometry of the galaxy brings up several important points: First, since our Solar System is not positioned in the Milky Way core, which means the core only forms a small part of the overall view from Earth. As our gaze moves away from the core (in either direction), the Milky Way begins to fade, since there are fewer visible stars to brighten the band. The second, and perhaps the most important consideration, is Earth’s relative position to the Sun. Since the Earth rotates around the Sun every 365/6 days, which means that during part of the year, our view of the galactic core is blocked by the Sun. In other words, the core is only above the horizon during daylight hours for a certain part of the year. So when is this? In the Northern Hemisphere, the core is not visible in most of November, December, January, and the first half of February. On the flip side, this means the best time for viewing is from late May to early August. Time of Night, Location and Seasonal Factors Now that you understand the concepts behind the Earth’s orbit around the Sun and the visibility of the core, it follows that the core is only visible at certain times of night during its visible months. In mid-February, for example, the core becomes visible in the pre-dawn hours just before sunrise, and remains above the horizon during daylight hours. Gradually, the core becomes visible for longer and longer each night, peaking in June & July when it is on the exact opposite side of the Earth as the Sun. During this time of year, the core will be viewable all night, with it being at its highest point in the sky around midnight. From July on, the cycle goes in the opposite direction, as core visibility begins to decrease and optimal viewing time moves towards after dusk, until it disappears from our field of view again in the winter months. The following image depicts the night sky field of view at peak viewing in mid-summer in the Northern Hemisphere: Milky Way Northern Hemisphere Viewing Location When discussing the visibility of the Milky Way, many people reference the hemisphere, but don’t explain how exactly this factors in. The reason that your location in either the Northern or Southern Hemisphere matters is twofold. First, the duration of daylight is different during the time of year when the Milky Way’s core is most visible. The Southern Hemisphere has the built-in advantage of being in the middle of their winter (i.e. short days, long nights) when the core is most visible. Meanwhile, the Northern Hemisphere is experiencing long days and short nights in its summer months, thereby limiting the available viewing (and photographing) time of the Milky Way’s most visible section. Milky Way, Hantam Karoo, South-Africa Secondly, your view of the Milky Way is different based on your location as well. The core of the Milky Way is approximately lined up with the constellation Sagittarius, which is situated at a declination of about -30°. This means that both Sagittarius and the Milky Way core are viewable directly overhead to those living at a latitude of -30°. For those of us in North America, Europe and Asia, at latitudes between 25° and 50°, this means we will always see the galactic core rising up from the horizon in our southern sky. Now this isn’t all bad news for Northern shooters, since this allows for the easier incorporation of the landscape into our shots, but it does offer some awesome views the further south you travel. How to Find the Milky Way Precisely lining up your shot is a matter of trial and error, but some general celestial landmarks will help you locate where you should be looking. As a general rule, if you’re in the Northern Hemisphere, look towards the southern skies to see the galactic core. This can be southeast (Spring), due south (Summer), or southwest (Autumn) depending on the time of year. As mentioned above, Sagittarius is found nearest the galactic core. 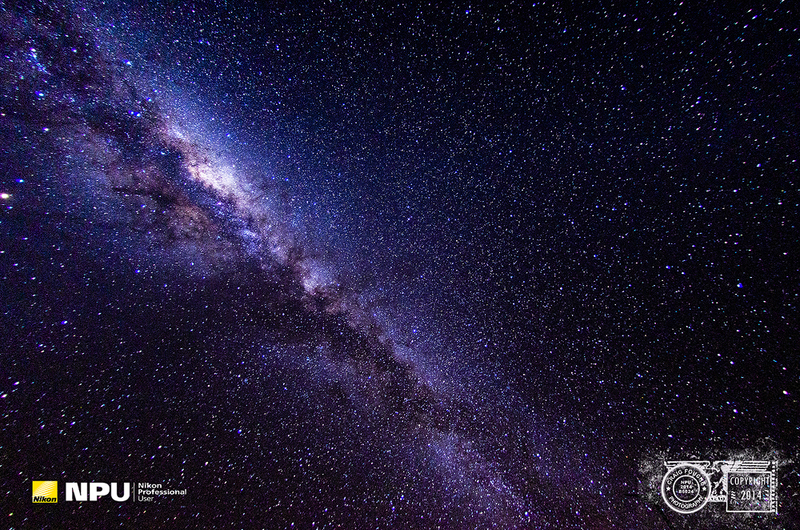 Milky Way, Hantam Karoo, South-Africa Don’t forget that in the winter months you can still see the Milky Way, just not the core. You can use Orion and Gemini as reference points during these months (The Milky Way goes right between them), as well as Cassiopeia (all year), which cuts right across the faint milky arc at almost due North. I highly recommend downloading both the Google Sky Map app to your phone for on the go reference, as well as downloading the incredible Stellarium program (free) to your laptop or desktop. The latter allows you to preview the night sky at any given point in time, and is an essential utility when preparing for an astrophotography expedition. One can also use Blue Marble Navigator's Dark Skies Map which is a Google & NASA collaboration that's quite useful. The Photographer's Ephemeris (TPE) is a tool to help you plan outdoor photography in natural light, especially landscape and urban scenes. It is a map-centric sun and moon calculator: see how the light will fall on the land, day or night, for any location on earth. I would also suggest a GPS, Navworld in South-Africa can provide a wide range of units and training to go along with that. GPS units can provide celestial information, as to when the sun and moon rise and sets will be. More so you can track your way back to your car in the dark! It's possible that most people on Earth have never seen the Milky Way, the galaxy in which we live. The Milky Way used to be a part of every human's life experience, but now that the majority of mankind lives in cities, with their light pollution, the Milky Way is rarely seen. If you live in the Northern Hemisphere, the center of the Milky Way will be low in the southern sky, and the band of the Milky Way will sweep upwards in an arch across the eastern sky to the northern horizon. If you live in the Southern Hemisphere, the center of the Milky Way will be almost overhead, and the band will sweep from your southwestern horizon to your northeastern horizon. Look for a faint silvery or milky cloud. Some parts will be brighter than others, giving a faintly mottled effect. These are star clouds, concentrations of millions of stars too faint to see as individual stars. You may also see some “holes” in the Milky Way: clouds of interstellar dust blocking our view of the stars beyond. When to Shoot the Milky Way When should you start looking for the core of the Milky Way? When will it be visible? Or even better, when is the best time of the year to shoot the Milky Way? During part of the year, the core of the Milky Way is not visible because it is blocked by the sun. It's when the galactic center is only above the horizon during daylight hours. When planning the Milky Way, you are only interested in looking into the period of the year the galactic center is visible during nighttime. Thus, knowing the starting and ending dates of the best period of the year to shoot the Milky Way is important to narrow the search and get results faster. So, when is this? Northern Hemisphere In the Northern Hemisphere, the core is visible from March to October. But the best time for viewing it is from late April to late July, because the galactic center is visible for longer during the night. Don’t look for it from November to February. In late February, the core becomes visible in the pre-dawn hours just before sunrise, and remains above the horizon during daylight hours. As months go by, the core becomes visible for longer and longer each night, being June and July the months with longer visibility. During this time of year, the core will be visible all night. From July on, core visibility begins to decrease and best viewing time moves towards after dusk, until it becomes totally invisible again in winter. In conclusion, if you live in the Northern Hemisphere, late April is a good moment to start planning the Milky Way, being June and July the best months. Southern Hemisphere In the Southern Hemisphere, the core is visible from February to October, being in the middle of the winter, June and July, when the core is most visible. Again, don’t look for it from November to January. 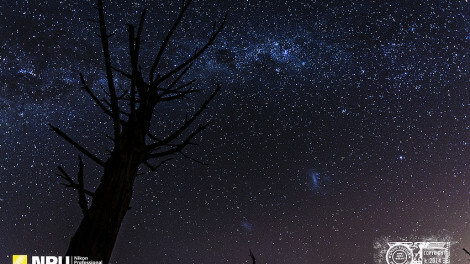 People living in the southern hemisphere enjoy visibility longer because the peak occurs in winter, when days are shorter and nights are longer. If you live in the Southern Hemisphere, mid-April is a good moment to start planning the Milky Way. But, before you start brainstorming like crazy, there are two CAPITAL facts about the core of the Milky Way you should keep in mind: You’ll find the core in the Southern Skies Knowing the direction where it is possible to find the core of the Milky Way is mandatory. Don’t waste your time designing images that are not possible. These are the general rules depending on the Hemisphere you are: Northern Hemisphere: look towards the southern skies to see the galactic core. The core will start to be visible due southeast (Spring), due south (Summer), or southwest (Autumn). 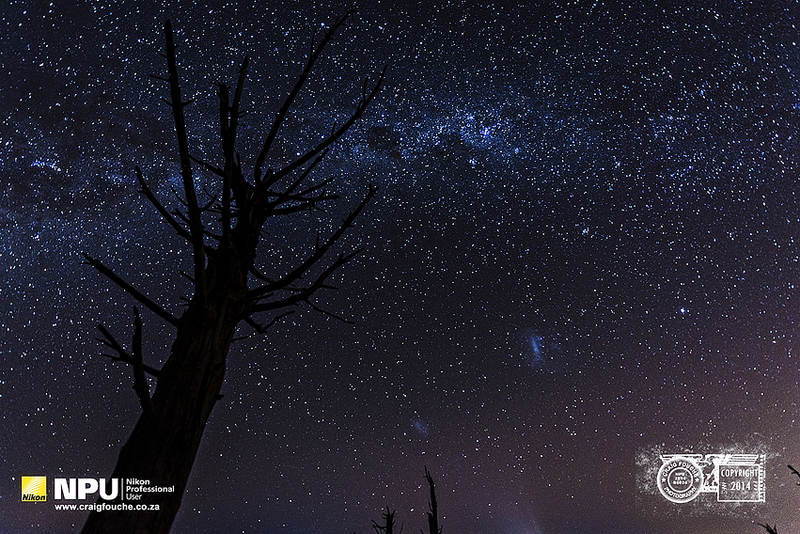 Southern Hemisphere: also look towards the southern skies to see the galactic core. In this case, the core will start to be visible due southwest (Spring) or southeast (Autumn and Winter). In conclusion, don’t look for the core of the Milky Way in northern directions. When brainstorming, think about different compositions with the galactic center in the southeast, south or southwest. Same location, same direction, same altitude “For a given location and direction (azimuth), the galactic center will ALWAYS be at the same altitude in the sky.” This means that if you go to the same location in two different dates, look towards the same direction and wait until the galactic center is in that direction, you'll see it at the same altitude in the sky. No matter the date, for a given location, when the galactic center is in one direction, it always has the same altitude. Thus, given a location, the galactic center always rises in the same direction. Also, it always sets in the same direction. Don’t forget that in the winter (Northern Hemisphere) and summer (Southern Hemisphere) you can still see the Milky Way, just not the core. Final Considerations: Moon Phase, Weather and Dark Skies As if there weren’t enough factors to consider already, the phase of the moon and the weather are the final two pieces of the puzzle. As a result, you’ll plan Milky Way shots happening during new moon and the 4 days before and after it. Light Pollution Over Southern & Central Africa Don't be disappointed if you end up with a full moon, or overcast or stormy skies, they can produce quite dramatic images. Photographing star trails under a full moon, gives the surreal impression of stars during the day! Keep a moon phase calendar handy in your bookmarks or on your calendar, and know when the moon rises and sets each day. You can usually find this information wherever you get your weather online. The World Meteorological Organization is a specialized agency of the United Nations with international agencies under them, providing weather information, see here for the complete list of providers National Meteorological or Hydrometeorological Services of Members. This will help you to plan your weather abroad in that respective country. It goes without saying that you want an almost completely clear sky for optimal star shooting, so keep an eye on the forecast during the days when the moon is not a factor and base your shooting around that. Another good resource for dark skies and light pollution indication is The Night Sky in the World where the above image of Africa was taken. How to Shoot the Milky Way A wide angle lens, either a 14-24mm f2.8, 16mm f2.8 Fisheye, 24mm f1.4 or 35mm f1.4 will all do the trick. the fastest, widest angle lens will work. Depending on light pollution, I usually shoot at ISO 400, 640, 800, but not higher than 3200. It goes without saying that a tripod IS essential, remote shutter control / intervalometer - this is key for taking exposures longer than 30 seconds, and lastly a DSLR camera. For more creativity, a head lamp to paint a tree or a rock etc to be included in your composition. Using the 500 Rule Some people call this the 600 rule, but 500 is much more conservative for a sharper image which makes a great baseline to start with & is key to getting clear star or Milky Way shots. To obtain the maximum exposure time you can shoot, without getting visible "trails" behind your stars, take the number 500 and divide it by the focal length you will be shooting at. Moon Setting into the Atlantic Under a Shooting Star - Paternoster, West Coast, South-Africa If you exceed the noted maximum exposure time the picture will exhibit "star trails". Keep in mind that this max exposure time is just a baseline (rule of thumb), feel free to move up or down from it depending on your camera setup and how your photos are turning out. If you take a picture and see that your stars have "trails" behind them, decrease the exposure time a few seconds. If you take a picture and see that the stars are not bright enough, and don't have trails behind them, increase your exposure time just a few seconds. It's all about taking multiple shots and practicing until you get to know how your camera / lens setup operates in accordance with the 500 Rule. Once you have this down it becomes second nature. Experimentation is once again key. What to see in the Milky Way Galaxy Start your tour of the Milky Way by looking for the constellations Scorpius and Sagittarius. Unlike many constellations, these form clearly recognizable patterns. Scorpius looks like the scorpion it’s named for, complete with long curving tail with stinger at the end. Its heart is marked by the red giant star Antares. Milky Way Sky Map July 2012 Sagittarius looks nothing like a centaur archer, but rather like a prosaic teapot, complete with handle, spout, and lid. If you live in the north, you will find these low in the southern sky; if you live in the south, they will be almost overhead. Because the center of the Milky Way is the richest part of the sky, it is crammed with nebulas and open star clusters. To give you some idea of this richness, the chart shows the names of some of these objects. The brightness of the name indicates the brightness of the nebula or cluster. The brightest objects are gathered around the center of our galaxy, right on the border between Scorpius and Sagittarius, between the scorpion’s stinger and the teapot’s spout. But for now, don’t worry about the names. Just take in the rich clouds of light as you sweep upward from Scorpius and Sagittatius (in the Northern Hemisphere) or either left or right from overhead (in the Southern Hemisphere). You don’t need to put a name to sheer beauty, the Bible describes the Milky Way perfectly as the work of His hands: Psalm 19:1-6 1 The heavens declare the glory of God; the skies proclaim the work of his hands. 2 Day after day they pour forth speech; night after night they reveal knowledge. 3 They have no speech, they use no words; no sound is heard from them. 4 Yet their voice goes out into all the earth, their words to the ends of the world. In the heavens God has pitched a tent for the sun. 5 It is like a bridegroom coming out of his chamber, like a champion rejoicing to run his course. 6 It rises at one end of the heavens and makes its circuit to the other; nothing is deprived of its warmth. Job 9:9 He is the Maker of the Bear and Orion, the Pleiades and the constellations of the south. Job 38:31, 32 Can you direct the movement of the stars--binding the cluster of the Pleiades or loosening the cords of Orion? 32 Can you direct the sequence of the seasons or guide the Bear with her cubs across the heavens? Amos 5:8 He who made the Pleiades and Orion, who turns midnight into dawn and darkens day into night, who calls for the waters of the sea and pours them out over the face of the land-- the LORD is his name. Ten Reasons Why Photographers Are Expensive From the outset, you’re not just paying for the actual photograph; you’re firstly paying for photographic equipment, photographic software, post production time and shooting time, expertise, overheads like costly insurance on the equipment, travelling costs to your venue if the shoot is not at the photographers studio and so the list goes on! See below ten reasons why photographers are expensive. Time You might see it as a 1-6 hour assignment. But what you may ignore is the travelling time to reach the location, a pre-venue scout assessment of the venue to assess the set up time, time spent talking to the clients at venue, time spent in negotiations before the shoot, the actual shoot, transferring and backing up the data, post processing, reviewing with clients, delivering the photos or scheduling a pick up. And we are not even going into time spent building relationship with client, marketing and office hours. Post processing itself may take over a day or many more depending upon the number of photographs edits required. Especially in case of weddings, depending on packages offered, the client may expect 2000 images out of the batch you shot...that means 2000 quality images processed! Gear Professional photographers don’t compromise with the quality of their gear. They buy the best professional equipment their budget can afford them at the time. They spend thousands and thousands of Rands getting multiple camera bodies (as they are the first items that need upgrading to remain current - R90 000 for Nikon's flagship D4s), the finest lenses (which are seriously NOT cheap, usually not updated as often as camera bodies - from R10 000 - R262 000), flash equipment for every situation, tripods, light stands, backdrops, props, carrying and storage cases. 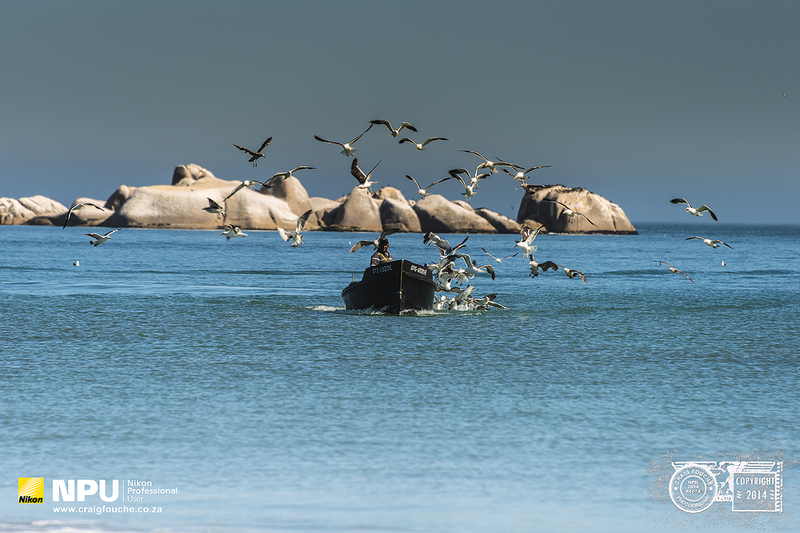 Craig Fouché - Nikon D800e and Nikon 600mm f4 - © 2015 Dominique Fouché Not only this, they buy professional licenses for software and different cloud back-up storage solutions like Dropbox or their own Western Digital Servers desktop computer and monitor to manage the large image file sizes - this is the modern day darkroom. Joe Soap's 10mp cellphone camera is not a substitute for the real deal, my analogy is that it equates to what 2 minute noodles is in comparison to a gourmet chefs meal! 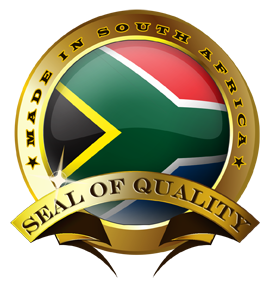 All my equipment is professional equipment bought at Orms in Cape Town, none is sponsored. I have bought the odd smalls from Outdoorphoto in Pretoria and B&H in New York. Premium Services Pro photographers join communities to further learn and explore new dimensions. They have to pay for their membership to different premium photography communities. I myself belong to Nikon's NPU Service - Nikon Professional User Service where courses offered by Nikon are discounted, not free. Even there, to qualify, you are required at time of writing to spend around R100 000.00 on equipment alone! Photographers pay for a premium account on photography services like Flickr, 500px and others. Their fees included maintenance of website and or the hosting thereof. They may even need consultations with lawyers for those sticky situations where clients may not want to pay, or where their copyrights have been infringed. Premium services may also include office and studio rent, paying a make up artist their fees for a creative shoot they may be doing. Skills Apart from being a good photographer, they have to be a CEO, marketing manager, financial manager, salesperson, production worker, buyer, negotiator, driver, networker, organizer etc. That’s the kind of skill-set of professional photographer - a jack of all trades, more so if you a one-man-band! No Compromise Work Ethic Professional photographers don’t compromise. They will give you the best they can, after all their business, livelihood and name is at stake. They don’t back off from tough assignments. They would travel to any possible location and will shoot to the best of their ability. They give you their valuable time. They don’t run for multiple assignments within a day; they would rather do one quality assignment. Technology Pro photographers keep themselves and their gear up to date with the rapidly evolving technology. They find tools that perfectly match their style and the clients they do business with. Their equipment is professional gear and very costly; and certainly not that of a hobbyist. They will be using the best technology available. This also requires being on top of their game with new software like Adobe Photoshop, Lightroom and Google Nik Collection. I have spent many hours learning from YouTube, and Lynda.com. Experience Experience is the one thing that may beat everything. Professionals are expected to be vastly experienced. They can advise you over a number of things which you would not be able to decide. They know what’s right and what could go wrong. This is something no person can buy in any field, it is learned through the school of hard knocks and practice. Uniqueness and Quality Professionals have their unique style yet every shoot can look different. They know how to infuse freshness. The quality of photos are supreme. This is true when the client being photographed participates in a positive way and their personality shows in the images. Returns The truth is that you get what you pay for. You will get your worth for the money spent. This applies to all walks of life, invariably penny-wise is pound foolish, in saying that; you will get chancers too, the onus on you is to do a background check on the photographer. Assistants and Help They may have a small team working with them either on location or back in studio. The photographer pays them for their work from his income. So next time if you think a photographer is charging too much, do consider the above points, and put the camera in your hands and see the business from that side of the viewfinder! Facebook Photo Size Guide 2015 I came across this interesting and comprehensive blog written by David Coleman Photography on how to edit your images for for social media. This was not written by me, full credit to him for all the content and images. Ever tried using photos or graphics on your Facebook page? It can be frustrating. So here's an up-to-date, unofficial Facebook photo size guide to what's what, what's where, and how big. In its early days, Facebook was all about text and links. But as it has grown up, images have become more and more important. They’re now more important for design and identity on the user interface, like your profile picture or cover photo. And it’s a great way to share photos in galleries and on the timeline. Facebook photos are now a huge part of the site’s appeal. The site still isn’t as photographer-friendly as Google+, but it’s getting better. Working out what image sizes to use on Facebook isn’t as easy as it could be and involves some wrangling to get the result you want. Each type of image on a page, profile, and timeline has its own size and quirks. And Facebook never has been very good about making its help pages easy to find. Making things even more fun is that Facebook changes things from time to time. Sometimes it’s a small, incremental tweak. Sometimes it’s an entire overhaul (such as when timelines were introduced and again when they were changed from two columns to one column). So it’s always a bit of a moving target. And there always seems to be a new system just around the corner. So here’s my updated 2015 version of the unofficial guide for the sizes of Facebook photos on the various parts of the site. This post is the first in the series. You can find similar guides for Event Pages, Newsfeeds, and Facebook Image Quality in the box at right. And I also have photo size guides for Instagram, Google+ and Twitter that might be of interest. You can also see the examples below in action on my Facebook page. I try to keep this as up-to-date as possible, but Facebook has a nasty habit of making unannounced changes and then rolling them out gradually to users so that not everyone gets them at once. If you’ve noticed something that’s changed, please let me know in the comments so I can update it. Facebook’s New Layout (mid-2014) In March 2014, Facebook announced a new layout for the timeline of business pages. As of June, most pages are being switched over. I’ve updated the information below to reflect the new layout. The new layout brings pages in line with personal profiles. There’s a single column at the right with updates. The narrower column at left is for admin features and static information. The new layout looks like this: Facebook Cover Photo Size The Facebook Cover Photo is the large panoramic image space at the top of the timeline. It’s displayed at 851px wide by 315px high, like this: The image you upload must be at least 399px wide–one that’s at least 720px wide will work best. You can upload a photo already cropped and resized to precisely those sizes (here’s how if you’re using Lightroom). Or you can upload a larger image, in which case you’ll be given a chance to move the image to choose the crop you’d like displayed. You can only designate one photo as your Cover Photo. Panoramas are ideal. Simple crops also work. And there’s nothing stopping you from assembling a collage in your imaging software, saving it as a single image file, and uploading that. Here’s an example using TurboCollage (see Creating a Photo Collage with TurboCollage for step by step instructions). And here’s an example using Lightroom (see How to Make a Facebook Cover Photo Collage with Lightroom for step by step instructions). If you’ve just set up a new Facebook profile or page and don’t yet have a cover photo, just click on the “Add Cover Photo” button at the top of the page where the Cover Photo will go. You’ll then get this warning popup: Once you’ve added your photo, you can change it easily. When you’re logged in to your account and on the Timeline view, if you hover the mouse over the Cover Photo you should get a “Change Cover” button at the bottom right of the Cover Photo. Click on that and you’ll get the menu item to choose where photo comes from. You can choose from existing photos you’ve uploaded to Facebook or upload a new one. And if you decide you want to reposition or remove the photo, you can use the same menu. It looks a little something like this: Facebook offers this advice: “To get the fastest load times for your Page, upload an sRGB JPG file that’s 851 pixels wide, 315 pixels tall and less than 100 kilobytes. For images with your logo or text-based content, you may get a higher quality result by using a PNG file.” For more information on the latter point–about using text, logos, or watermarks on images, I have a separate post on that which goes into more detail. I also have a separate post with more detail on Facebook Cover Photo Size. Facebook Cover Photo Gradient In the new layout, cover photos now have a narrow gray semi-transparent gradient running along the bottom. This is something personal profiles have had for a while, but it’s now also on cover photos on business pages. It’s presumably there because the page name, page type, and admin boxes now overlay the bottom of the cover photo (they used to be below the cover photo). Because the text is always in white, the gradient makes the text legible even against a white cover photo. I can’t say I’m a fan, but unfortunately there’s no way to remove it. Facebook Profile Picture Size The Profile Image is now the smaller, square at bottom left of the header, overlapping the cover photo. You have to upload an image at least 180px by 180px. It’s displayed at 160px by 160px. (Its “natural” size is actually resized to 168px by 168px, but it’s only displayed at 160px by 160px.) The thin white border is added automatically and there’s no way to remove it. If you use a photo that’s not square, you have some control over which part of the image to use for the crop. When you’re logged in, hover over the profile image and choose “Edit Profile Picture” and then “Edit Thumbnail”. You can then click on the crop lines to choose the part of the image you want to use. Tip: If you find that your resulting profile picture, after it’s downsized in Facebook, is blurry, try uploading an image twice the size of the downsized image (that is, an image that is 320px by 320px). That should give a sharper result. Profile Picture on the Timeline The profile image that appears next to your name on comments and posts is the same image but is automatically scaled down to 32px by 32px. Shared Link Thumbnails Some things got simplified in the new layout. Shared link thumbnails didn’t. There are different ways that Facebook displays thumbnail images with links. Ideally, you can get full-width thumbnails that are scaled to fill a box 484px by 252px. Like this: But not every link thumbnail displays full-width. What the specific criteria are is still to be determined, but it likely has to do with whether the page you’re linking has the OpenGraph image property defined (ie. the og:image tag). It might then also depend on the size of the image and orientation, as it does with Google+. When the thumbnail doesn’t display full-width, it goes into a small box at left. In that case, a landscape thumbnails fits in a box 155px wide. And a portrait thumbnail fits in a box 114px high. You also have the option of uploading a new image for the thumbnail if you don’t like the one automatically suggested from the original page. I’m still experimenting, but it appears that if you upload a new image you’re stuck with the small thumbnail even if the original suggested one was full-width. One Photo on the Timeline When you upload an image to the timeline, a thumbnail is generated automatically to fit within a box that is 504px by 504px. So if you want to use the maximum space allowed, upload a square photo at least 504px wide. If you upload a landscape (horizontal) image, it will be scaled to 504px wide. If you upload a portrait (vertical) image, it will be scaled to 504px high and it’ll be centered with gray on each side. How much empty gray you get on the sides depends on the aspect ratio. A narrower image will result in more empty gray than a wider image. Uploading Multiple Images to a Page Timeline You can upload multiple photos at once to the timeline. How they’re displayed depends on how many images you’re uploading and the orientation of what I will call the primary image. The primary image is what I’m calling the one that displays first, and it also displays larger in some of the layouts. So far as I know there’s not official name for it, but I’m going to go ahead and use primary image. As well as displaying first, the primary image has another important role. It determines the layout you get. If you upload 3 images with a square primary image you’ll end up with a different layout than if you upload 3 images with a rectangular primary image. The easiest way to select which image serves as the primary image is to drag it to the left in the upload dialog. In this example, the photo of the lion will become the primary image. If I want the photo of the monkey to be the primary image, I’d just drag it to the left. In many circumstances, the order matters not just because it determines which photo is to the left or on top, but because the way that the thumbnails displays is determined by the orientation of that primary image. 2 Images With Horizontal (Landscape) Primary Image 2 Images With Vertical (Portrait) Primary Image 2 Images With Square Primary Image 3 Images With Horizontal (Landscape) Primary Image You can mix and match the orientations of the non-primary images–they’ll still display the same. 3 Images With Vertical (Portrait) Primary Image You can mix and match the orientations of the non-primary images–they’ll still display the same. 3 Images With Square Primary Image You can mix and match the orientations of the non-primary images–they’ll still display the same. 4 or More Images with a Horizontal (Landscape) Primary Image You can mix and match the orientations of the non-primary images–they’ll still display the same. If you upload 5 images or more, it displays only the first 4 images. 4 or More Images with a Vertical (Portrait) Primary Image You can mix and match the orientations of the non-primary images–they’ll still display the same. If you upload 5 images or more, it displays only the first 4 images. 4 or More Images with a Square Primary Image You can mix and match the orientations of the non-primary images–they’ll still display the same. If you upload 5 images or more, it displays only the first 4 images. Full-Width Photos on the Timeline The new layout that Facebook introduced in the summer of 2014 did away with the option of having a featured image span both columns. Your updates now only show in a single column, and there’s no way to make photos wider than that column. Facebook Photos Cheat Sheet Width Height Notes Cover Photo 851px 315px Profile Picture in Header 160px 160px Must be uploaded at 180px by 180px Profile Picture on Timeline 32px 32px Same image as main Profile Picture, automatically downscaled Shared Link Thumbnail 484px 252px Only for full-width thumbnails. In some cases much smaller thumbnails are used. Uploaded Photos 2048px 2048px Uploaded Timeline Photo Thumbnail 504px max 504px max See exceptions above for multiple images. Hammad Baig has also put together a fantastic infographic cheat sheet for social media sites. You can find it here. Essential Photoshop Color Settings For Photographers Used with requested permission and written by Steve Patterson. Adobe Photoshop is the world's most powerful (and popular) image editor, trusted by both amateur and professional photographers everywhere to help their photos look their very best. With that in mind, it may surprise you to learn that Photoshop's default color settings - that is, the settings that determine the range of colors and tonal values we have available to us when editing and retouching our images - are actually preventing our photos from looking the way they should, both when viewed on screen and when printed. In this tutorial, we'll learn why the default color settings are not the best choice and which settings will give us better results. Now, I could talk all day long about color theory and wish I still had more time, but I also know I'd risk putting a lot of good people to sleep if I did that. So in this tutorial, we'll keep the technical stuff to a minimum and focus on what the correct settings in Photoshop's Color Settings dialog box should be so you can start editing and retouching your images with your newly-expanded range of color possibilities. If you are interested in learning more about these color settings, I'll be covering them in more detail in other tutorials. I'm using Photoshop CC (Creative Cloud) here but these color settings apply to any recent version of Photoshop, so if you're using CS6 or earlier and you want the highest possible range of colors for your images, you should still follow along. Download Photoshop Essentials tutorials as print-ready PDFs! Learning Photoshop has never been easier! Where To Find The Color Settings To get to Photoshop's color settings, go up to the Edit menu in the Menu Bar along the top of the screen and choose Color Settings: Going to Edit > Color Settings. This opens the Color Settings dialog box. If you've never seen this dialog box before, and if you know nothing about color spaces and color management, it may seem a little intimidating. Don't worry, though, because there's really only one important setting we need to change: Photoshop's Color Settings dialog box. The RGB Working Space By default, Photoshop uses a preset collection of color settings known as North America General Purpose 2 (if you're in a different part of the world from where I am, you may see something different but that's okay because we'll be manually changing the settings ourselves anyway): The default color settings preset. If we look directly below the name of the preset, we find the Working Spaces section, and the very first option at the top, RGB, is where we tell Photoshop which color space we want to use by default when viewing and editing our images (there's also options below it for CMYK, Gray and Spot, but these deal specifically with printing. For on-screen image editing, the only one we need to worry about is RGB). 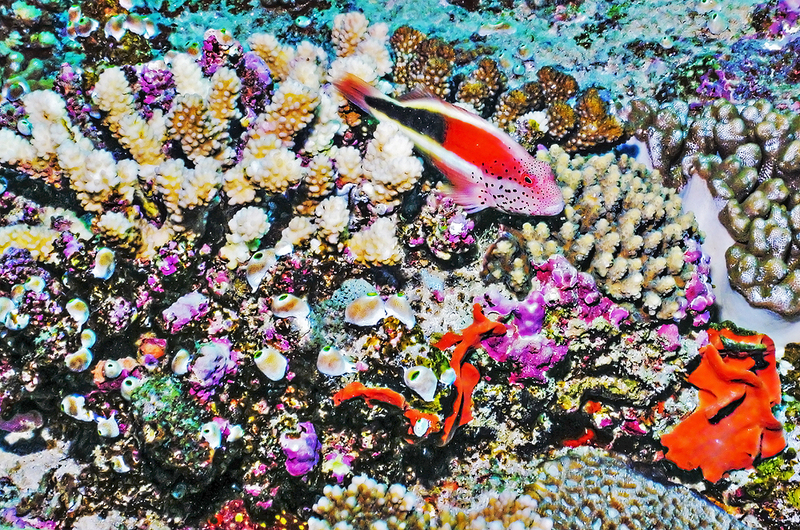 A color space determines the range of colors and tonal values that are available to us. The color range of a particular color space is known as its gamut. Colors that fall outside the range of the color space are called out of gamut. For photography and photo editing, there's three main color spaces that we typically have to choose from - sRGB, Adobe RGB and ProPhoto RGB. By default, Photoshop is set to sRGB: The default sRGB working space. Each of these three color spaces gives us a different range of colors and tonal values to work with, some larger than others, and it makes sense that we'd want access to the largest possible range when editing our images. Unfortunately, Photoshop's default settings give us the exact opposite. The sRGB color space contains by far the smallest range of colors and tones. The Adobe RGB space contains a much larger range, while ProPhoto RGB gives us even more! Learn all about RGB and Color Channels in Photoshop To quickly illustrate the difference between sRGB and the next largest color space, Adobe RGB, here's a graph showing a comparison of the two (the graph was created using Chromix ColorThink 2). The area in the center that's filled with color represents the range of colors available in the default sRGB space. The colored outline surrounding it is the range available in Adobe RGB (unfortunately a 2D graph like this doesn't include brightness values but it still gives us a pretty good idea of what's going on): The sRGB (inside) and Adobe RGB (outside) color spaces. As we can see, even though sRGB does offer lots of colors, Adobe RGB offers the same colors, plus a lot more, especially in the greens and cyans. 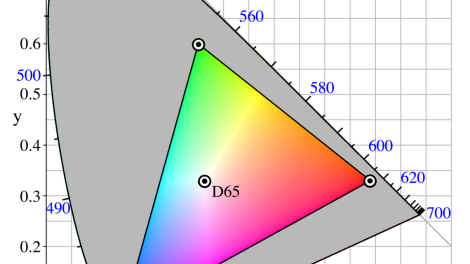 In other words, it has a larger gamut than sRGB. This means we'd have far more colors available to us when editing our images if we simply switched from the default sRGB color space to Adobe RGB. Why, then, would Adobe choose sRGB as Photoshop's default? The answer is simple - sRGB is safe. 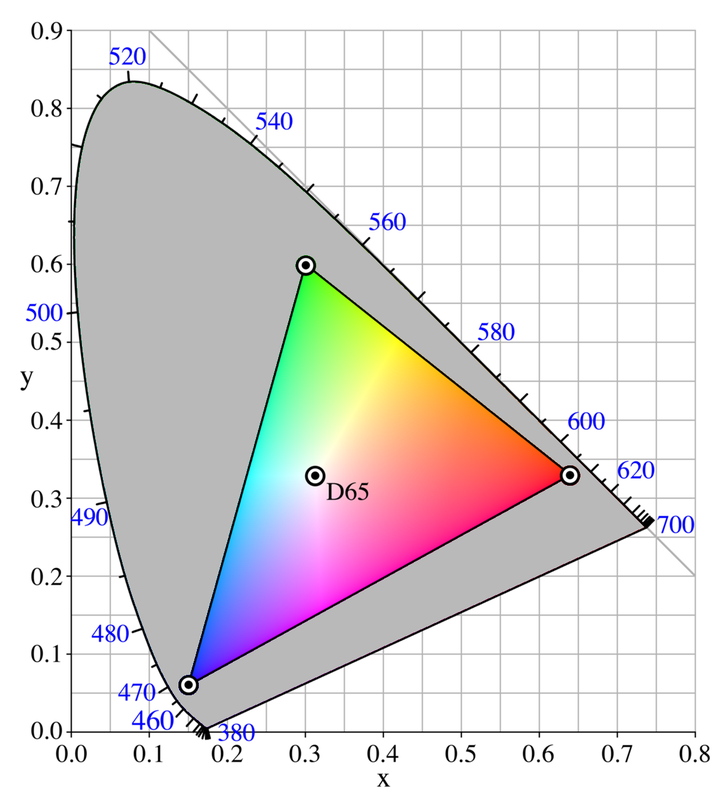 sRGB was designed to represent the range of colors that a typical low-end computer monitor (the kind most people use) can reproduce. Also, even though most digital cameras these days give us the choice of capturing our images in either sRGB or Adobe RGB, they're set to sRGB by default and most people never change it (in fact, most don't even know the option is there). Thirdly, if you usually send your photos off to a commercial lab for printing (as opposed to printing them at home with an inkjet printer), the lab will want the images saved in sRGB. So, if most computer monitors can only display sRGB, most cameras are set to sRGB, and commercial printing labs require sRGB, it makes sense then that Photoshop would choose sRGB as its default. It's the safe choice. If sRGB is safe, why not stick with it? Why choose something else? There's two main reasons why we'd want to select a larger color space. First, a larger color space means we not only have access to more colors but also more vibrant, richer, more saturated colors. Photos captured or saved in sRGB can sometimes look a bit dull and muted compared with images in Adobe RGB. Also, if you have a decent inkjet photo printer at home, there's a good chance that it can print colors that sRGB can't display, so your prints also suffer by not taking advantage of all the colors your printer is capable of reproducing. Since sRGB is not the best choice because its color range is too limited, that leaves us with two other color spaces to choose from - Adobe RGB or ProPhoto RGB. As I mentioned, ProPhoto RGB contains an even larger range of colors than Adobe RGB, so wouldn't that make ProPhoto RGB the obvious choice? Not necessarily, because having too many colors available can also cause problems, especially if you move an image from one color space to another. ProPhoto RGB contains such an extremely wide color range that many of its colors actually extend outside the scope of human vision, and converting an image from a much smaller space like sRGB or even Adobe RGB into ProPhoto RGB can make colors look overly saturated, cause noticeable banding or posterization, and even cause drastic color shifts. As an example, here's a side-by-side comparison of the same photo assigned to each of the three different color spaces. The original photo (on the left) was captured, and remains, in sRGB. It actually looks a little drab compared with the version next to it (middle photo) which was assigned an Adobe RGB profile (we'll learn all about assigning and converting to color profiles in a separate tutorial). Notice the more saturated colors that Adobe RGB produced, improving the photo's appearance. The version on the right, however, again originally captured in sRGB, was assigned a profile of ProPhoto RGB. The colors are now overly saturated to the point of looking completely unnatural while some of the colors themselves have shifted. The sky in particular is now a completely different blue than what I originally captured: The original sRGB capture (left), assigned to Adobe RGB (middle) and ProPhoto RGB (right). So is ProPhoto RGB not the correct choice? Is Adobe RGB better? The answer really depends on how you typically capture your images and how you use Photoshop. If, like most Photoshop users, you shoot and work primarily with JPEG files (which can only be captured in either sRGB or Adobe RGB) and you do most or all of your editing directly in Photoshop itself, then the best color space to choose is Adobe RGB. It's large enough to encompass all the colors your computer monitor can display (even if you're using an expensive high end monitor) and most of the colors an inket printer can print. To change Photoshop's RGB working space to Adobe RGB, simply click on sRGB and choose Adobe RGB from the list: Adobe RGB is the best choice for most Photoshop users working with JPEG files. If, on the other hand, you typically capture your images as 16-bit raw files and you open the raw files in either Adobe Lightroom or Camera Raw for initial processing before moving them into Photoshop, you'll want to take advantage of the greatly expanded color range that ProPhoto RGB offers. Adobe Lightroom also uses ProPhoto RGB as its working color space, while Camera Raw lets you manually assign ProPhoto RGB to an image. So by setting Photoshop to ProPhoto RGB as well, you'll be preserving the image's color information between programs and maintaining all the editing freedom and flexibility that ProPhoto RGB offers. It's important to keep in mind, though, that ProPhoto RGB is really only beneficial if you're working with images that were initially captured as 16-bit raw files. As we saw earlier, attempting to assign ProPhoto RGB to an image that was captured in sRGB or Adobe RGB can cause serious problems. That's why for most people, Adobe RGB is all you'll need to get great results with your images, both on screen and in print. But, if you do shoot or work with 16-bit raw files, ProPhoto RGB will give you the best results: ProPhoto RGB is best for 16-bit images coming from Lightroom or Camera Raw. Raw vs JPEG for photo editing What To Do With Color Profile Mismatches So far, we've learned that the sRGB color space (Photoshop's default setting) is not the best choice for editing our images because of its relatively small and limited range of colors and tones. Adobe RGB is a better choice for Photoshop users who shoot and work with JPEG files, while ProPhoto RGB is best for images originally captured as 16-bit raw files. But what happens if you set Photoshop to one color space and try to open an image that was saved in a different color space? For example, let's say you've set Photoshop's working space to Adobe RGB but someone sends you a photo to work on that was saved in sRGB? Should it remain in sRGB or be converted to Adobe RGB? We need to tell Photoshop what to do in these situations, and we do that using the options in the Color Management Policies section of the Color Settings dialog box. Once again, we have options for RGB, CMYK and Gray, but as I mentioned earlier, CMYK and Gray specifically deal with printing. The only one we really need to be concerned with for image editing is RGB. Fortunately, we don't really need to be concerned with these options at all because unlike Photoshop's RGB working space setting, the default settings for the Color Management Policies are actually correct. In pretty much every case when a photo's color profile doesn't match Photoshop's working space, you'll want to preserve the original color profile. If you convert the image to Photoshop's working space, you run the risk of changing the original colors in the image, and that can leave people - especially clients - none too happy with you. 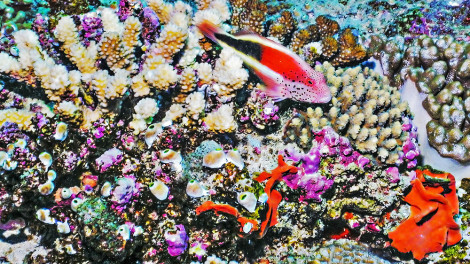 By preserving the color profile that's embedded in the image, we keep its original colors intact. That's why the default setting, Preserve Embedded Profiles, is the one you'll want to stick with: Leave the Color Management Policies options set to Preserve Embedded Profiles. Now that we've told Photoshop to preserve the photo's original color profile whenever there's any sort of mismatch, the next question is, do we still want Photoshop to notify us whenever there is a mismatch? If we say yes, then each time the image we're opening has a different color profile than our working space, Photoshop will pop open a warning box like this one, which not only makes us aware of the mismatch but also gives us the chance to override the default behavior: The Embedded Profile Mismatch warning box. As we've already learned, there's usually no reason why you'd want to do anything other than preserve the photo's embedded color profile, so the issue here becomes whether or not you simply want to be notified that there is, in fact, a mismatch. Personally, I'm a big fan of information so I do like to be notified even though I do nothing about it other than click OK to close out of the warning box. If you're like me and still want to know when it happens, select the Ask When Opening and Ask When Pasting options to the right of the words Profile Mismatches by clicking inside their checkboxes (Ask When Pasting is for when you drag or paste an image from one document into another and each document is using a different color profile). You'll also want to select Ask When Opening for Missing Profiles as well for those rare occasions when you'll come across an image that doesn't have an embedded color profile at all. If you don't want Photoshop to notify you about these things, that's fine too, since you weren't going to do anything about them anyway. In that case, simply leave the boxes unchecked: Photoshop will still warn you about missing or mismatched profiles if you select these options. Saving Your Settings Once you've made your changes, it's a good idea to save your new settings so you can easily switch back to them again if needed. To save them, click the Save button: Clicking the Save button. Give your custom settings a name. I'll call mine "My Color Settings". Click the Save button again: Naming the new settings. Another dialog box will appear, this time giving you the chance to enter in a description for your settings if you like to serve as a reminder of what these settings are for. I’ll enter “These are the best settings to use with my images”, but you can enter something different, or simply enter nothing at all. Click OK when you’re done to close out of the dialog box: Adding some comments for my custom settings. Once your custom settings have been saved, you can select them again at any time from the Settings option at the top of the Color Settings dialog box (the option that was initially set to North America General Purpose 2): Selecting my new custom settings from the list of presets. And there we have it! That's how to expand your range of color possibilities and get the most out of your images with a few simple but essential changes to the default color settings in Photoshop! For more information and other Photoshop tutorials click here.